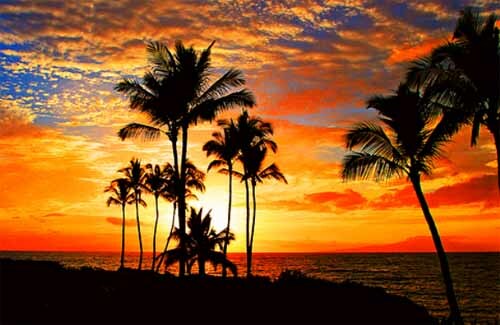 Maui Now : Ask the Mayor: What’s the Different Between B&B, STRH, TVR & VRBO? Q: I am totally confused with all the terms out there for short-term rentals—B&B, STRH, TVR and VRBO. Some may just be categories or same-names, but my understanding is that the county considers B&Bs and STRH/TVA as different entities since there are separate applications for them. They seem the same to me. Can you tell me the differences? A: You are not the only one who has asked the same question. I hope I will be able to help clear some of the confusion you may have. 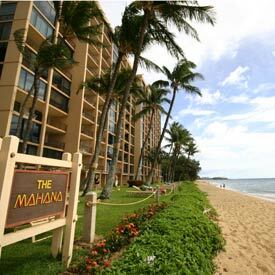 The terms are defined in section 19.04.040 of the Maui County Code. Bed and breakfast homes (B&Bs) and short-term rental homes (STRHs) are similar in that each has a specific permitting process, and each can occur in no more than two detached single-family dwellings per lot and in no more than a total of six bedrooms per lot. The key difference is that a B&B must have the owner/proprietor living in one of the dwellings. A STRH does not have to have any long-term on-site occupancy, and can be managed by someone other than the owner. Transient vacation rentals (TVRs) are all other types of vacation or short-term rentals, whether hotels, time-share or homes that do not meet the B&B or STRH standards and get conditional permits instead. VRBO (“vacation rental by owner”) is a website that offers various vacation rental opportunities, whether permitted or not, like Airbnb. They allow operations to be advertised and rented, but do not require their advertisers to have proper permits. It’s a problem across the country. 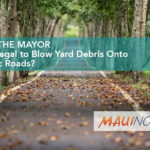 Ask the Mayor: Is It Legal to Blow Yard Debris Onto Public Roads? 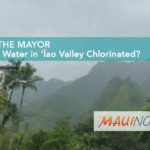 Ask the Mayor: Is the Water in ‘Īao Valley Chlorinated? 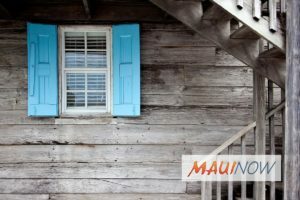 Ask the Mayor: Are There No More Short-Term Vacation Rental Licenses?